NAIROBI, Sep 1 2014 (IPS) - Agriculture in Africa is in urgent need of investment. Nearly 550 million people there are dependent on agriculture for their livelihoods, while half of the total population on the continent live in rural areas. The adoption of a framework called the Comprehensive African Agriculture Development Program (CAADP) by Africa’s leaders in 2003 confirmed that agriculture is crucial to the continent’s development prospects. African governments recently reiterated this commitment at the Malabo Summit in Guinea during June of this year. The need for private sector investment in Africa is manifest, but the quality of those inflows of capital is vital if it is to enhance the livelihoods of millions of food producers in Africa. After decades of underinvestment, African governments are now looking for new ways to mobilise funding for the sector and to deliver new technology and skills to farmers. Private sector actors are also looking for opportunities within emerging markets in Africa. Large-scale public-private partnerships (PPPs) are an emerging trend across the continent. These so called ‘mega’ PPPs are agreements between national governments, aid donors, investors and multinational companies to develop large fertile tracts of land found near to strategic infrastructure such as roads and ports. Tanzania, Malawi, Mozambique, Ghana and Burkina Faso all host this type of scheme. Several African countries have signed up to global initiatives such as the New Alliance for Food Security and Nutrition, supported by the rich, industrialised economies of the G8; and GROW Africa, a PPP initiative supported by the World Economic Forum. For governments, these arrangements offer the illusion of increased capital and technology, production and productivity gains, and foreign exchange earnings. But as Oxfam reveals, mega-PPPs present a moral hazard with serious downsides, especially for those living in areas pegged for investment. In particular, the land rights of local communities are at risk. Within just five countries hosting mega-PPPs, the combined amount of land in target area for investment is larger than France or Ukraine. While not all of this land will go to investors, governments have earmarked over 1.25 million hectares for transfer. This is equal to the entire amount of land in agricultural production in Zambia or Senegal. Due to weak land tenure found in many African countries, this land transfer places local communities at significant risk of dispossession or expropriation. These arrangements also threaten to worsen inequality, which is already severe in African countries, according to international measurements. Mega-PPP investments are likely be delivered by – and focus on – richer, well connected companies or wealthier farmers, bypassing those who need support the most. More land will also be placed into the hands of larger players further reducing the amount available for small-scale producers. The ability of small and medium sized enterprises to benefit from these arrangements is also in doubt. The size of just four multinational seed and agro-chemical companies partnering with a mega-PPP in Tanzania have an annual turnover of 100 billion dollars – that’s triple the size of Tanzania’s economy. These asymmetries of power could lead to anti-competitive behaviour and squeeze out smaller local and national companies from emerging domestic markets. Larger companies may also gain influence over government policies that perpetuate their control. These types of partnership also carry serious environmental risks. 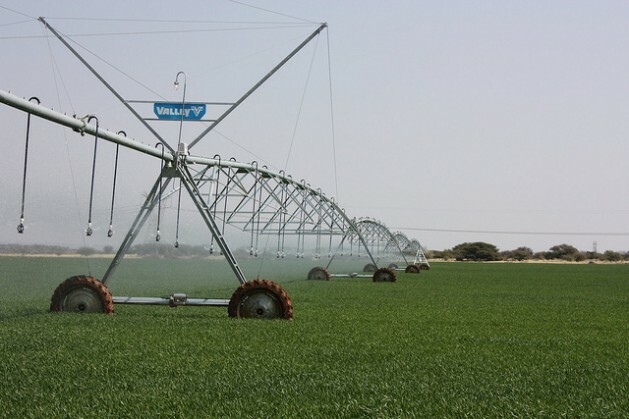 An example of this is the development of large irrigation schemes for new plantations. They can reduce water availability for other users, such as local communities, smaller farmers and important other rural groups like pastoralists. The need for private sector investment in Africa is manifest, but the quality of those inflows of capital is vital if it is to enhance the livelihoods of millions of food producers in Africa. The current mega-PPP model is unproven and risky, especially for smallholder farmers and the poor. At the very heart of the agenda to enhance rural livelihoods and eradicate deep-seated poverty in rural areas should be a clear commitment towards approaches that are pro-smallholder, pro-women and can develop local and regional markets. The protection of land rights for local communities is also – and equally – paramount. Oxfam’s experience of working with smallholder farmers shows that private sector investment in staple food crops, and the development of rural infrastructure such as storage facilities, combined with public sector investment in support services such as agricultural research and development, extension services and subsidies for seeds and credit, can kick-start the rural economy. Robust regulation is also vital, to ensure that private sector investment can ‘do no harm’ and also ‘do more good’ by targeting the areas of the rural economy that can have the most impact on poverty reduction. African governments should put themselves at the forefront of this vision for agriculture. These represent tried and tested policies towards rural development in other contexts. This approach, rather than one that subsidises the entrance of large players into African agriculture, would truly represent a new alliance to benefit all.